According to the Rugby Fives website, Fives is like squash, but played with your hands. Continuing to cite the Rugby Fives homepage, Rugby Fives first started by hitting a ball against a wall and was eventually formalized at a Rugby School, where it derived its named “Rugby Fives.” Rugby Fives likely started in the 19th century, with official records going back to the 1920’s. Official courts are squash courts, made of cement, with updated indoor courts featuring glass back walls. 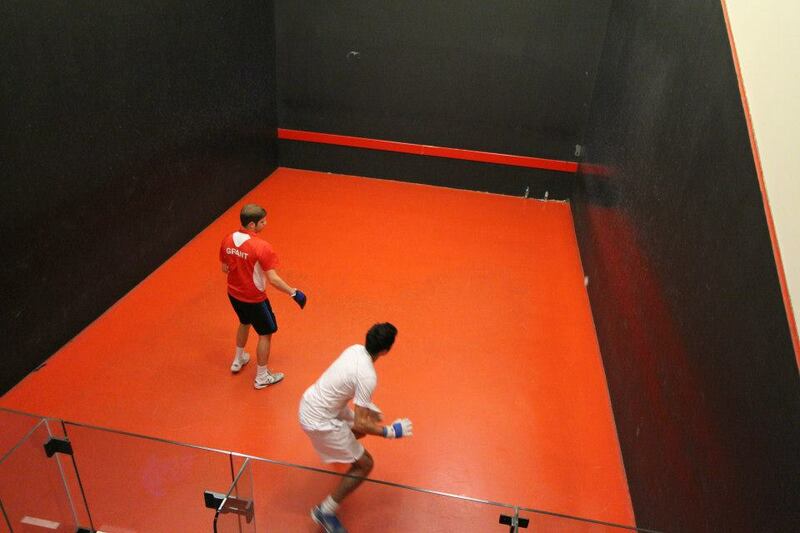 The rules are similar to squash, in that the ball cannot be hit below the 19-inch line on the front wall. Points are made in the receiving position. The serve is thrown in the air into the front wall then right wall and hit like tennis, with the server smashing the ball back into the right side wall front wall.